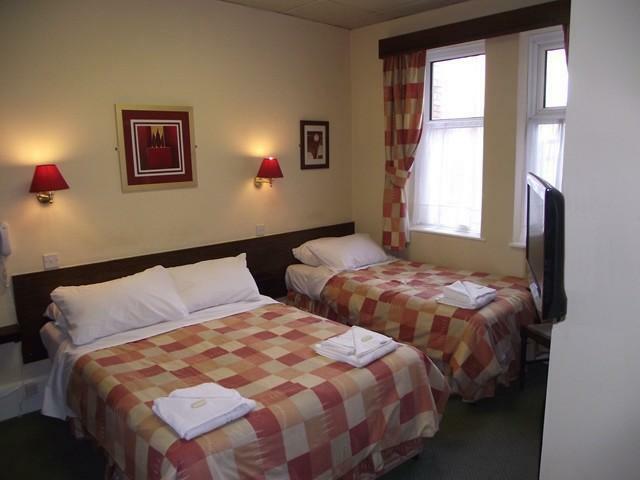 This standard triple room sleeps 3 people in 1 double and 1 single bed, Daily housekeeping.En-suite Shower with towels and toiletries provided a hospitality tray with tea, coffee. TV. with freeview channels, Free Wi Fi and onsite parking.Price is for room only based on 3 people sharing. This room will sleep up to 3 people.